The beginning of the school year can be a hectic time for teachers. We certainly have every moment filled from getting to know each of your students, to beginning of the year assessments, and of course, prepping for Back to School Night! Even though we have so much going on those first few weeks of school, it is the best time of the year to instill the values of kindness into your classroom community. Worried it will take too much time? Don’t be! 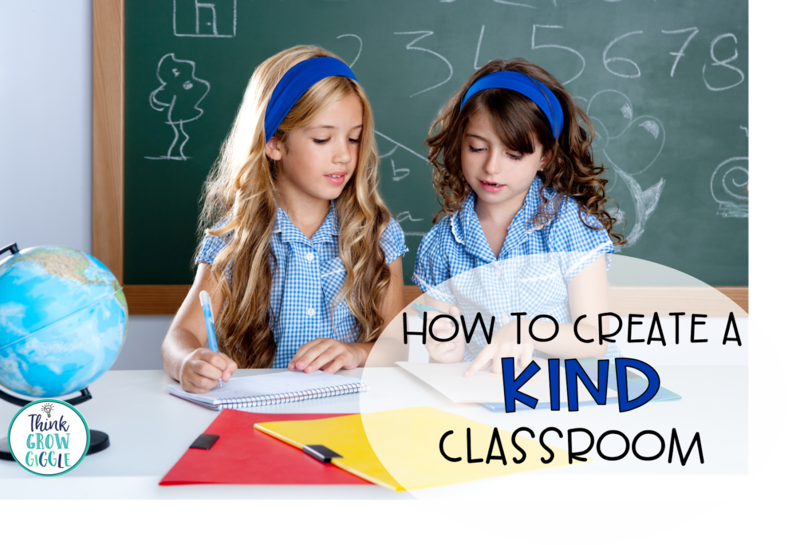 Infusing the values of kindness into your classroom can be done in just a few easy steps! You have heard it before, and it is true! The most important thing to do to get a desired behavior from your students is to model, model, model! If you want your students to become kind citizens, you have to model what you preach! Start simple. Instead of sitting at your desk each morning, welcome each student at your classroom door with a smile and greet them by name. Do the same at the end of the day. Walk them to the door and say good bye. Model the behaviors you want to see throughout the day, like holding the door, using manners, and helping with simple tasks. Ask your students personal questions, give them compliments, and you will be surprised how quickly they do the same, to you and one another. Kindness is truly contagious! I love decorating my classroom with kindness quotes and messages of kindness. Displayed in my cubby area are kindness quotes like this one. It is the perfect place for students to see and read these messages since they are in the cubbies throughout the day. Like these quotes? Scoop them HERE. My students always seem to look at the clock, do yours? This is what they will see the many times they check the time! I keep some messages of kindness hidden, like the messages written on these pencils. I randomly write happy messages on pencils to spread kindness and when students find one, a huge smile spreads across their face. As the year goes on, the students truly pass it on by creating their own messages on pencils for others to find. This idea is a free, simple way to spread kindness! Many picture books offer a message of kindness, but none has a clearer message of how important kindness truly is than Each Kindness written by Jacqueline Woodson. After treating a classmate poorly, the main character learns how kindness truly can change the world and regrets how she behaved. Ms. Albert, the teacher models how kindness is a ripple by dropping a stone in a pool of water. What better way for students to see the power of one act of kindness than by dropping a stone in a bowl of water in your classroom after reading this book. We then create a simple kindness paper chain made from cut colored paper to hang in the classroom. Written on each strip are some of the kind acts we hope to accomplish during the school year. This is one book you will refer to all year long that has a powerful message your students will not forget! Grab this book HERE. Once my students understood our classroom community is based on kindness, I introduced our monthly Random Acts of Kindness Calendar. After I complete a September RAK calendar, I share it with the students, encouraging them to check the calendar each day with “suggested” ways to be kind. As the month continued we check in on our progress during our morning meeting time to see what acts of kindness were carried out and how it went. Before October begins, students work in pairs to create a RAK calendar. Each pair work on a calendar for a different month. When each pair of students are done, we have a yearlong RAK calendar to display and carry out in our classroom. The kids always love creating the calendars and looked forward to seeing each month’s ideas. Scoop up this calendar set for free HERE. I truly believe in the power of kindness to create a warm, positive, and safe classroom community. Even if you only try one of these ideas, I am sure you will see positive results! My classroom runs on kindness. Will yours? Great post! I love the Random Acts of Kindness Calendars - What a fun idea! Thanks! I can't wait to write on all my pencils on Monday! 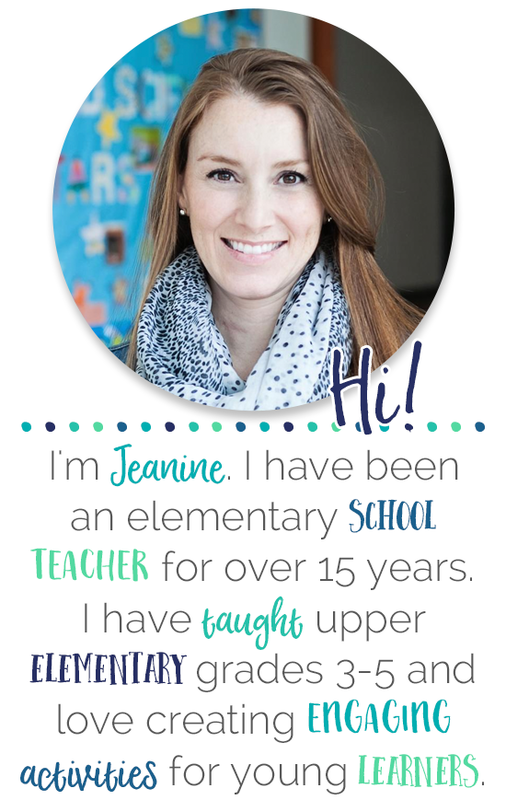 Such a cute idea-- my students are going to love it! 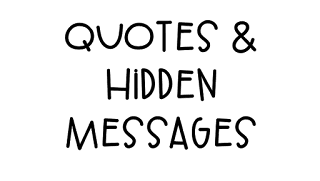 I love the section about quotes and hidden messages! Also loving the RAK idea. These are great suggestions for using kindness in the classroom! The calendar and quotes are wonderful ideas!